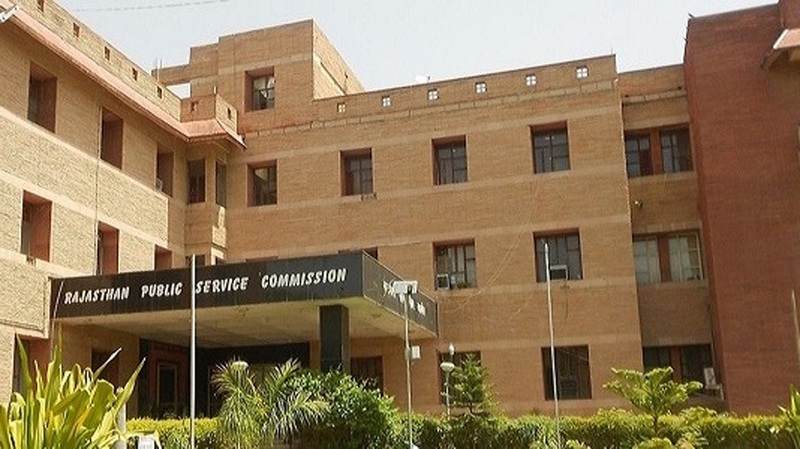 Parallel to Union Public Service Commission (UPSC) at the Centre, there is a State Public Service Commission (SPSC) in a State. The articles 315 to 323 in part XIV of the Constitution deal with the composition, appointment and removal of members and power, functions and independence of a SPSC. In Rajasthan SPSC is called as Rajasthan Public Service Commission (RPSC). The Government of India Act of 1919 provided for a Central Public Service Commission. After which a Commission was then setup in 1926 and tasked with recruitment of civil servants. The Government of India Act of 1935 provided for establishment of not only a Federal Public Service Commission but also a Provincial Public Service Commission and Joint Public Service Commission. Consists of Chairman and other members appointed by the Governor. No other qualification except that 1/2 of the members shall be persons who at the dates of their respective appointments have held office for at least 10 years under the Government of India/Government of a State. Tenure: 6 years or 62 years of age whichever is earlier. Resignation- Addressed to the Governor. In addition to these, the president can also remove the chairman or any other member of SPSC for misbehaviour. However, in this case, the president has to refer the matter to the Supreme Court for an enquiry. If the Supreme Court, after the enquiry, upholds the cause of removal and advises so, the president can remove the chairman or a member. Under the provisions of the Constitution, the advise tendered by the Supreme Court in this regard is binding on the president. However, during the course of enquiry by the Supreme Court, the governor can suspend the concerned chairman or member, pending the final removal order of the president on receipt of the report of the Supreme Court. (b) participates in any way in the profit of such contract or agreement or in any benefit there from otherwise than as a member and in common with other members of an incorporated company. (a) The chairman or a member of a SPSC can be removed from office by the president only in the manner and on the grounds mentioned in the Constitution. Therefore, they enjoy the security of tenure. (b) The conditions of service of the chair¬man or a member, though determined by the governor, cannot be varied to his disadvantage after his appointment. (c) The entire expense including the salaries, allowances and pensions of the chairman and members of a SPSC are charged on the consolidated fund of the state. Thus, they are not subject to vote of the state legislature. (e)A member of a SPSC (on ceasing to hold office) is eligible for appointment as the chairman or a member of the UPSC, or as the chairman of that SPSC or any other SPSC, but. not for any other employment under the Government of India or a state. (f) The chairman or a member of a SPSC is (after having completed his first term) not eligible for reappointment to that office (that is, not eligible for second term). It conducts examinations for appointments to the services of the state. It is consulted on the following matters related to personnel management. All matters relating to methods of recruitment to civil services and for civil posts. The principles to be followed in making appointments to civil services and posts and in making promotions and transfers from one service to another. The suitability of candidates for appointments to civil services and posts for promotions and transfers from one service to another, and appointments by transfer or deputation. The concerned departments make recommendations for promotions and request the SPSC to ratify them. The Supreme Court has held that if the government fails to consult the State Public Service Commission in these matters, the aggrieved public servant has no remedy in a court. At the time of formation of Rajasthan, Public Service Commissions existed in only three of the 22 covenanting states viz. Bikaner, Jaipur and Jodhpur. The successor state administration after the merger of the princely states promulgated an ordinance establishing the Rajasthan Public Service Commission at Ajmer. The ordinance provided for the abolition of the PSCs or other institution performing duties in the nature of those of a PSC in the constituent states. It also provided inter-alia, for the composition of the Commission, the staff and the functions of the Commission. It was published in Raj. Gazette on 20th August, 1949 and RPSC was institutionalised. Initially the composition of the Commission was one Chairman and 2 Members. Sir S.K.Ghosh (also the then Chief Justice of Rajasthan) was appointed Chairman. Subsequently Shri DeviShankar Tiwari and Shri N.R.Chandorkar were appointed Members and Shri S.C. Tripathi (I.E.S), formerly a member of the Federal PSC was appointed as Chairman. In 1951, in order to regulate the working of the Commission, the Rajpramukh issued the following Regulations under the provisions of the Constitution of India. The Rajasthan Public Service Commission (Regulations and validation of Procedure ordinance 1975 & Act 1976).